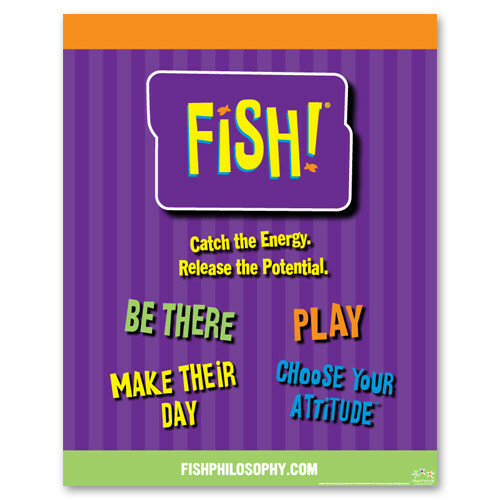 Brightly displays the learning points of the FISH! film. Create excitement and curiosity for upcoming events and keep the commitment going after your training ends. Taken from the final page of FISH! 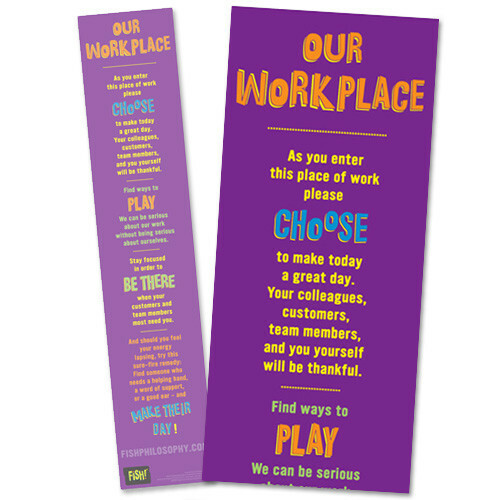 the Book, these timeless words outline the actions that build a productive workplace and a fulfilling life. 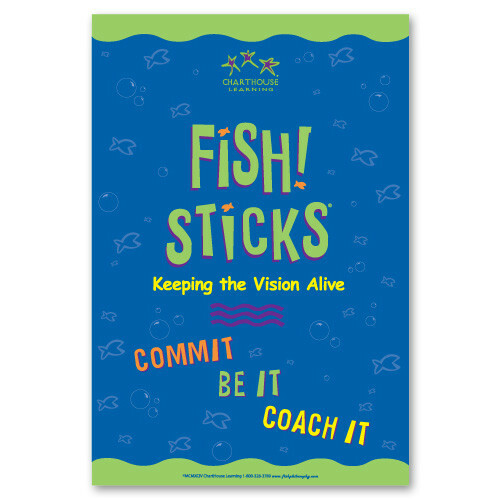 It helps define what living the FISH! Philosophy looks like for your team. It’s the perfect size for individual cubicles. 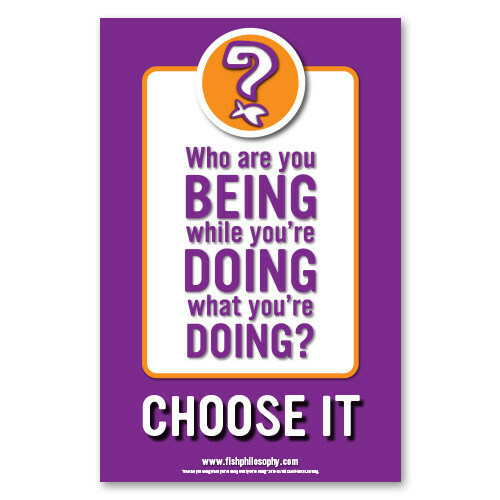 Who do you want to “be” as you go through the ups and downs of your day? Hang this powerful phrase in your workspace to help everyone stay aware of how their attitudes and actions affect others moment to moment.